MISSING LINK opens with 19th century British explorer/monster-hunter, Sir Lionel Frost, watching calculatingly bemused as his assistant is swallow genuinely-funny by the Loch Ness Monster. As voiced by Hugh Jackman, Frost may be brave, but we learn quickly he is also incredibly self-centered and an incorrigible snob as well. However, his pomposity is lessened when compared to Lord Pigott-Dunceby (Stephen Fry), the chairman of the Optimates Club, a members-only establishment that houses the crème-de-la-crème of explorers. Denied membership, yet again, Frost receives a letter advising him of a Bigfoot residing in the Pacific Northwest. When he arrives ultimately at that destination, not only does he discover the existence of Bigfoot, he is told by the eloquent beast that it was he who wrote the letter to Frost. Mr. Link (voiced impeccably by Zack Galifianakis), as Frost calls “The Beast“, wants to be discovered and in order for Frost to gain acceptance to the Optimates Club, he will provide him proof that he is real IF he helps the creature get to Shangri La in the Himalayas where Mr. Link (though he prefers to be called Susan) can live amongst his own kind, the Yetis. Early into their journey, our heroes are joined by Adelina Fortnight (Zoe Saldana). She was once Sir Frost’s main squeeze, but since she has in her possession the only map to get to Shangri La, any romantic tensions dissipate as the three fight through many obstacles to arrive at their final destination. Like many of Writer/Director Chris Butler’s previous work (Kubo and the Two Strings, ParaNorman), the Stop-Motion Animation in MISSING LINK is intoxicating. It is a luscious kaleidoscope of swirling colours and textures, with hyper-realistic backgrounds while the human characters on screen are comedic exaggerations of elongated bodies and razor sharp angular faces. What sets this Movie apart from Butler’s previous body of work is that it truly is his first family-friendly movie. Some of his edgier and darker tones and proclivities have been replaced with slapstick humour, replete with genuinely funny quips and circumstances (albeit with a very dry and British sensibility, which I adore). The voice work from the A-List Cast is sublime, with kudos to Galifianakis for taming his usual comedic stylings and giving us a fully-rounded and grounded character. Another vocal standout is Emma Thompson as the sarcastic and sanctimonious Yeti Leader known as The Elder. 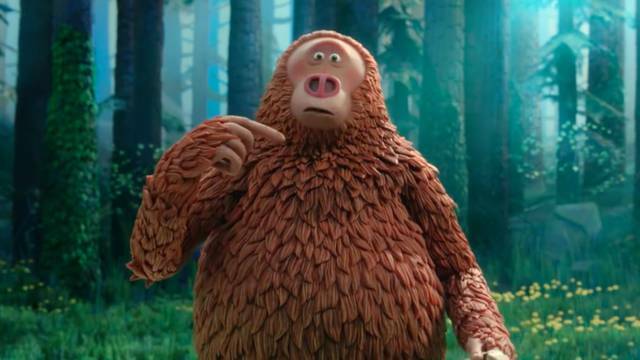 As with most animated movies, MISSING LINK has its teaching moments for the youngsters in the audience and its message of self-acceptance is delivered with grace and joy. This Movie will undoubtedly appeal to all ages. Elevation Pictures release MISSING LINK Friday, April 12, 2019.